FDJM is an online platform for young people from Mali, Africa and all around the globe to discuss problems and challenges in Mali with the goal to find solutions. The forum aims to support a democratic dialogue and to express the needs and wishes of the youth in form of an open letter to the Malian Government. The final action plan contains a concrete list of activities in order to enable the political decision makers to truly understand the critical pain points of the youth of the region. 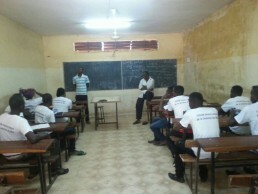 In 2015 FDJM has been founded by young adults in Bamako. All members have professional skills in economy, law and handcraft and have good relations to local enterprises and persons concerned by unemployment. FDJM and his partner “Societé Malienne de Carrelage” (SoMaCa) realized a professional formation as tilers for more than 60 young people. After the formation, more than 85% of the trainees were able to get a job in the sector. According to Mr. Cheick Oumar Sissoko, director of the SoMaCa, the program was a full success. FDJM fights for gender equality. 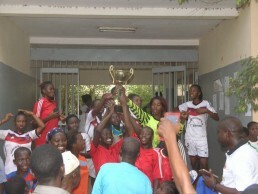 To underline this engagement, in April 2017 FDJM organized the first female soccer tournament for students in Bamako. 288 participants came from 16 schools in 9 districts of the capital. With the support of Benkadi e.V. and local partners, an important sign for equality in sports could be sent. The self-sufficiency and independence of young people are two of the most important goals of FDJM. 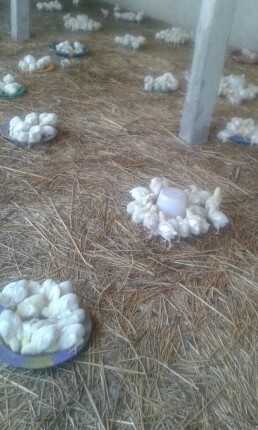 In this context, a professional formation of young people in ecological aviculture has been organized by FDJM, Benkadi e.V. and local partners. The project started in June 2017 and is co-financed by the foundations Umverteilen and Nord-Süd-Brücken. 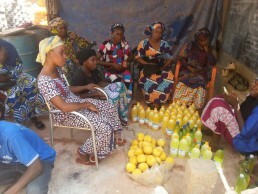 A second and a third formation will form two more groups, each of them has 2o young Malian, who will learn to produce soaps and juices from local agriculture.